In a bid to always keep food fresh and to take advantage of the many benefits of buying food in bulk, vacuum sealers have become very popular over the last few years. Just like any other product the popularity of this equipment has attracted many manufacturers and continues to draw even more as time goes by. However, the entry of more manufacturers into the production and distribution of this product does not mean that all of them produce quality products. In fact, only a select few of them are known for their high-quality products. When shopping for a vacuum sealer you are always looking to buy the best in the market but this will not be possible if you do not know what to look for. This is especially so given the fact that all manufacturers will always present their products as the best there is in the market. Add this to the very enticing marketing campaigns and you will be confused on how to choose between the various vacuum sealers on the market. However, as an informed buyer you should have the following eight important things in mind when shopping for a vacuum sealer so as to ensure you get the best. 1. The Workload – How frequently you use the vacuum sealer? How frequently you use the vacuum sealer or the amount of products/foodstuffs you want to seal per day, week or month will determine the type of sealer that you need. Before going out to buy a vacuum sealer, you should clearly define your needs since different sealers have a different capacity or capability. The place you intend to use the sealer (home or commercial) also determines the type of sealer that you buy. For home use, a suction vacuum sealer is the best whereas a chamber vacuum sealer is best suited for commercial purposes. 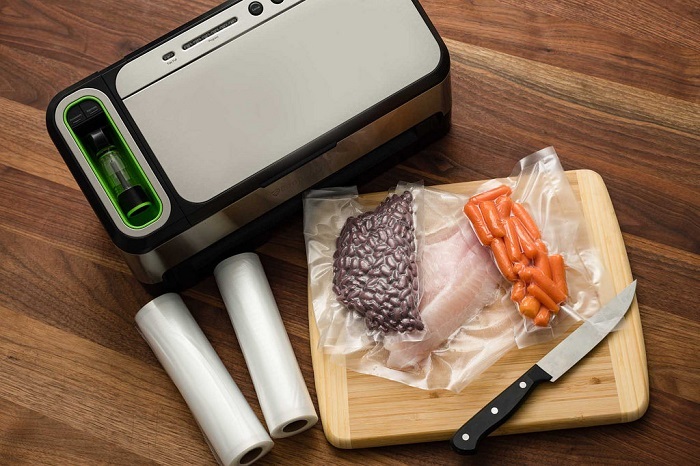 If you intend to move your vacuum sealer from one place to another or take it with you on a vacation, then a small portable one will be the best for you. However, it is important to know that with portability also comes low performance and durability. The bigger and mostly immobile vacuum sealers will be hard to move from one place to another, but they are also able to seal more bags and harder to seal foods such as liquids. When considering the build avoid sealers with plastic components as they are more prone to damage. Instead, you should go for stainless steels sealers as they are harder to break. In any industry, some specific brands or manufacturers are more famous than others. The reason for this is not simply because they have been around for longer, or their company is bigger but because they produce high-quality products. When buying a vacuum sealer, you will be better off buying one from a reputable manufacturer from a less known manufacturer. A popular vacuum sealer manufacturer has a reputation to maintain and so they are more likely to produce quality products. This is more important for people who are buying their first vacuum sealer and do not know what to look for. 4. What will you be vacuum sealing? The food item that you will be packaging will have an enormous impact on the kind of vacuum sealer you choose to buy. For example, if the food that you are sealing requires you to remove almost all the air from the bag for it to remain fresh in storage you can use an external or a chamber sealer. However, if you are sealing sensitive things like potato crisps that you wouldn’t want to crash then you will need a chamber sealer that has an inert gas. The chamber sealer removes most of the air and replaces the remaining air with an inert gas to prevent spoilage. 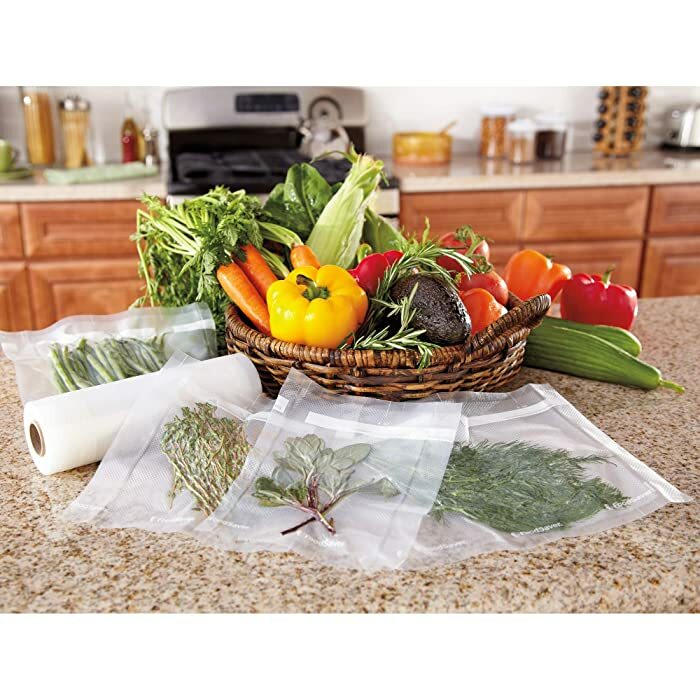 A vacuum sealer should be able to get the job done efficiently without forcing you to reseal every single bag. When shopping for a vacuum sealer you should always consider the effectiveness of the sealing before buying it. Look at the features and specifications, suction power and the speed of the vacuum to know whether you can expect effective sealing from the sealer or not. If the retailer demonstrates how the sealer works the better for you as you would be able to determine its effectiveness by seeing it on the job. Vacuum sealers work by sucking out all the air from the bag that contains your food. If some air is left in the bag, then your food is likely to get freezer burn when stored in the fridge, and so it will not be fresh. The capability of the sealer to remove all the air and make sure that no air pockets are left inside the bag will depend on its suction power. Sealers are rated according to suction power and the higher the suction power, the better. However, it is important also to not that the higher, the stronger the suction, the more expensive the machine is likely to be. But there are also some good sealers that have a strong suction that do not cost much. The faster the machine can seal a bag the more the bags that you will be able to seal in a shorter time. This is more important when you are using the sealer for commercial application or if you have many bags to seal. Whereas some sealers will only take a couple of seconds to seal a bag other take way longer than this and so might not be convenient where the workload is big. Besides from being fast a good sealer should also give you the option to choose between different speed levels according to the type of food you are sealing. Some foods require a lower speed sealing to ensure that they are not crushed in the process. Depending on how often you use your sealer the motor and other elements can wear down. Although some of the parts are replaceable, this will be an additional cost for you. The best vacuum sealers are built to last for a very long time no matter how often you use it. These sealers are often backed by a lengthy warranty to make things even better. A vacuum sealer is one of the devices that every modern home should have and so buying the best one is paramount. With the above things to consider before buying the best vacuum sealer in mind, you will be able to get a machine that will not only serve you well but will also make you a happy buyer.